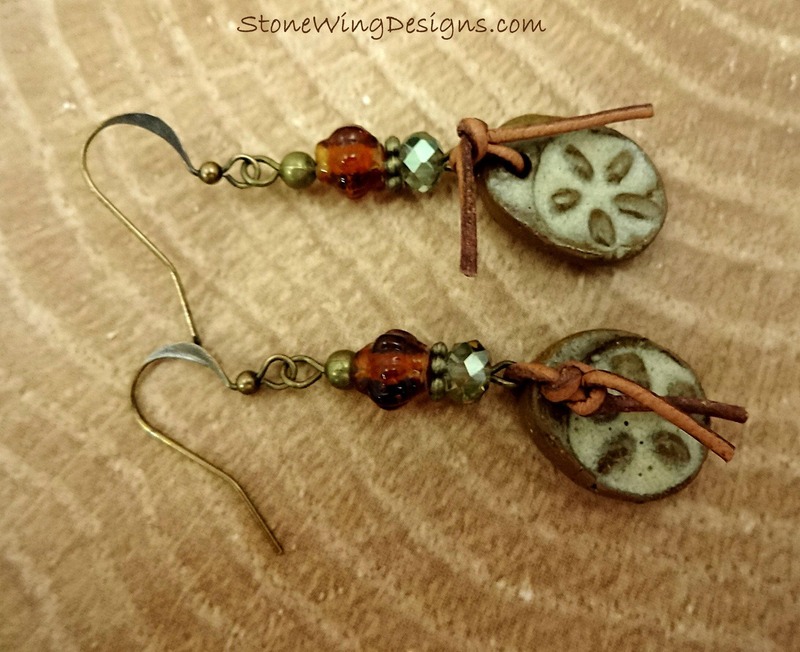 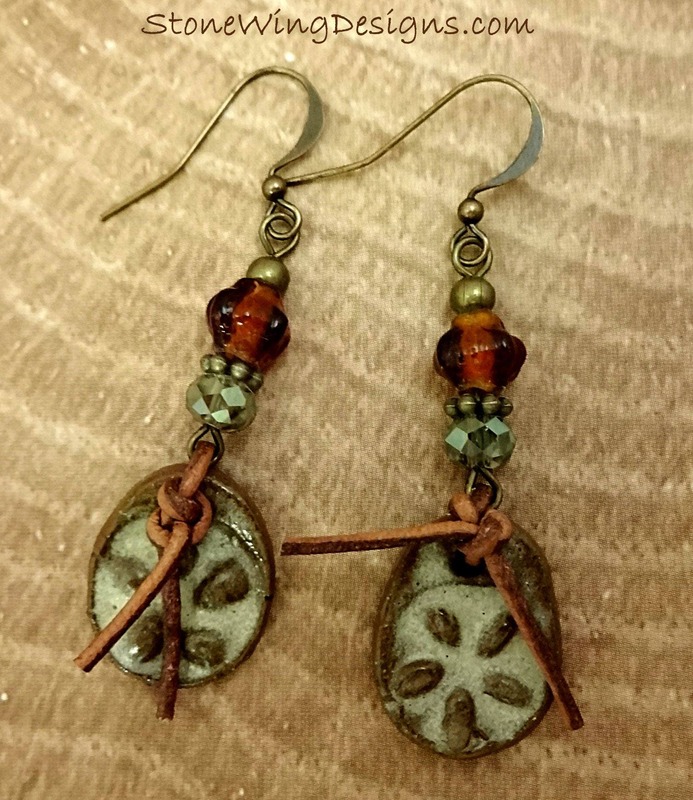 Two gorgeous artisan made Ceramic charms with a leather strap dangle below amber and green glass. 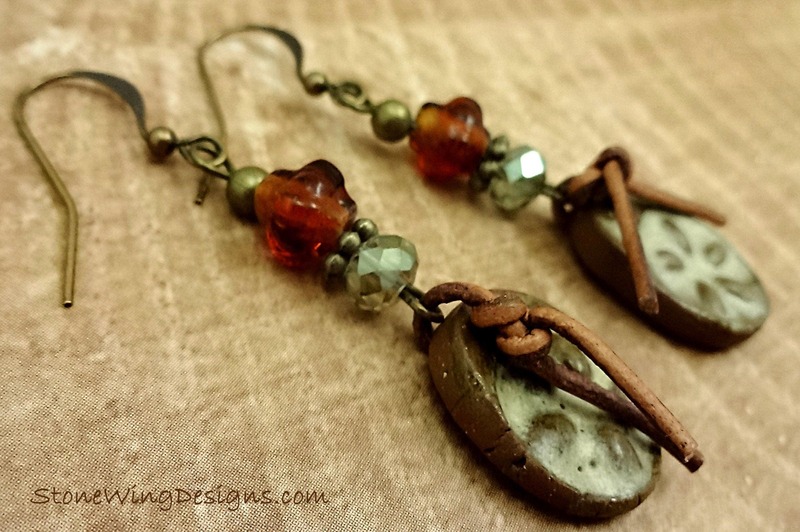 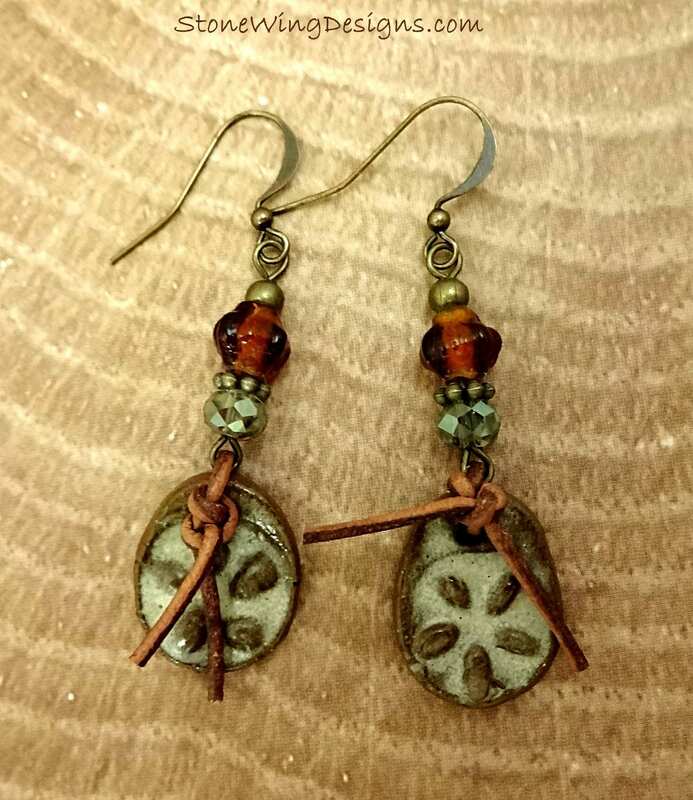 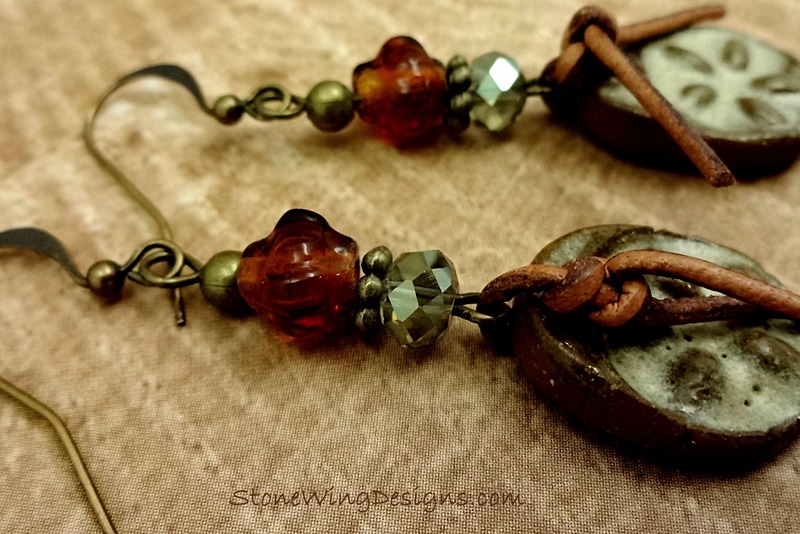 The antique brass wire and beads lend a rustic boho western vibe to these one of a kind earrings. 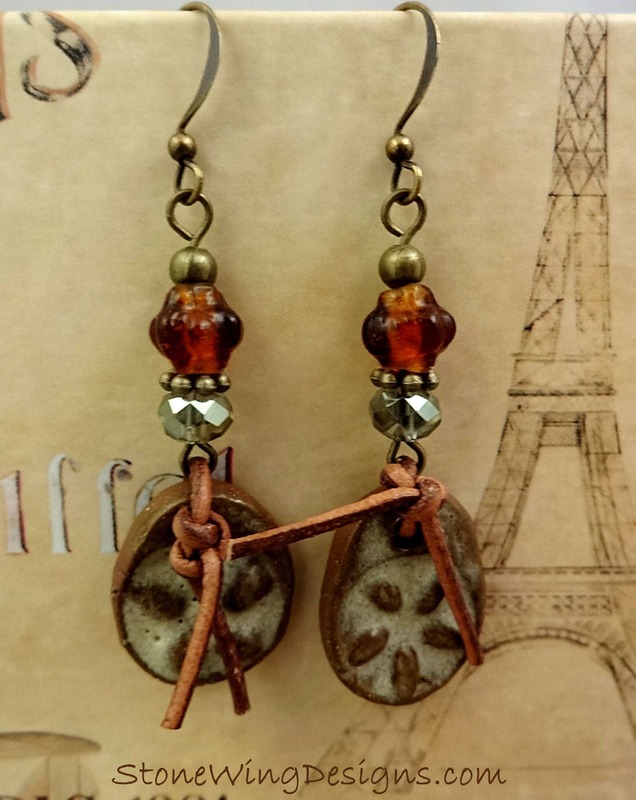 Antique brass French hook ear wires turn the rustic charm up another notch. 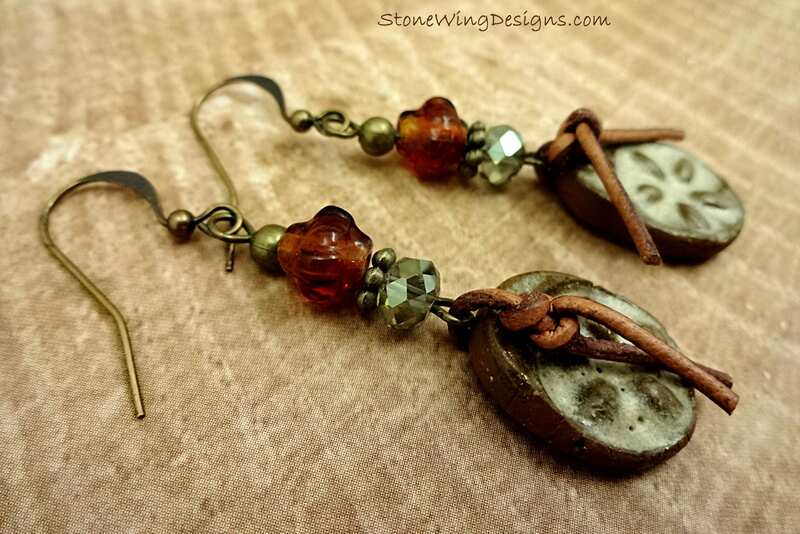 Message me if you'd prefer surgical steel or 14k gold fill ear wires.